We always keep our eyes peeled for the latest trends in the hair department. 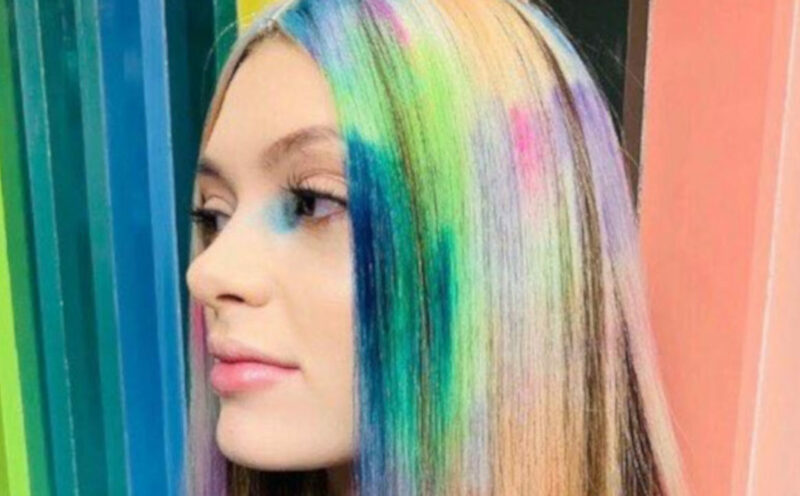 One of the hottest colorful hair trends that we spotted lately is the Colour Cloud hair trend that comes straight off the runway. The Greek-born British-based fashion designer Mary Katrantzou is famous for her psychedelic prints and fabulous color combinations. 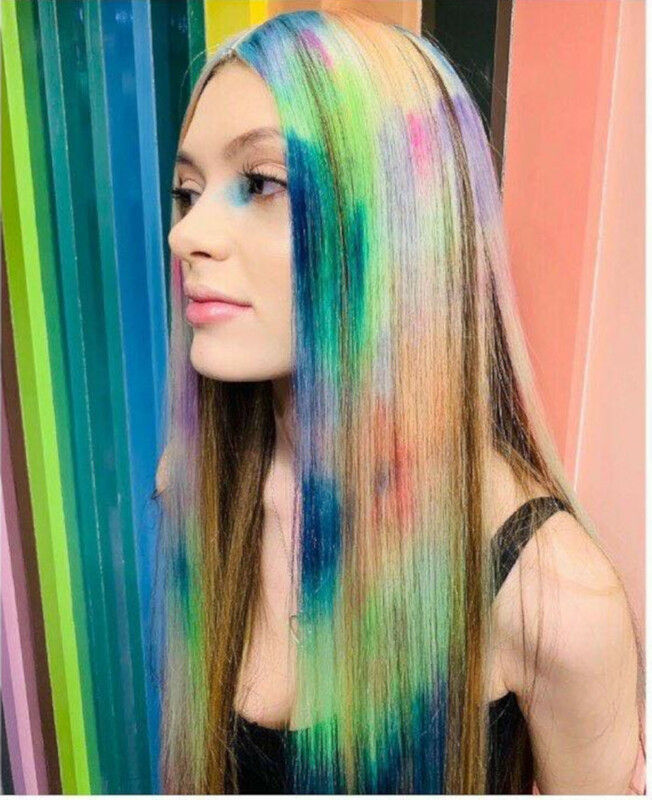 The designer tapped hair color pro Josh Wood to create a custom color blend to match her vibrant designs for the Fall/Winter 2019 fashion show. The collaboration resulted in a unique attention-grabbing color blend dubbed Colour Cloud. Flip through this article to discover more about this creative hair trend that is perfect for spring. Josh Wood, who has launched many hair trends so far (such as the pastel hair and the gray hair trend) has used multiple shades and a special coloring technique to create Colour Cloud hair.